The following document has often been confused with Lincoln's Thanksgiving Proclamation. 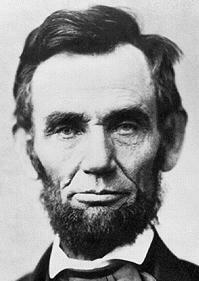 Lincoln believed that the civil war was God's judgment on the nation for it's sinfulness. And in an omimous echo of the words of the King of Nineveh in Jonah 3:7-8, Lincoln made this proclamation of a national day of humiliation, fasting, and prayer.